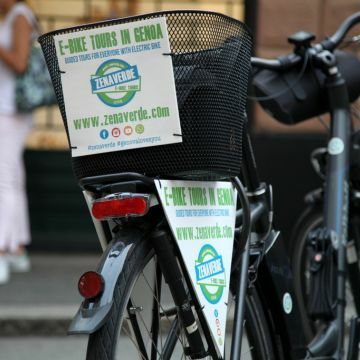 Zenaverde is the only professional operator in Genova specialized to organized guided tours in Genova and the coasts (East Coast and West Coast) exclusively with the E-bike, the electric bike. Tours are available for everyone, adults and family with small child. We have available the classic tour inside the old town and the old port (Aquarium, Vicoli, Carruggi) or the Genoa modern tour or visit Genoa from the top. Or you can choice the East or West Coast Tour, to Camogli or to Varazze, passing by the seafront. We have available Old shop tours and Genoa by night tour, to discover the secrets of old town. We are specialized in private tour with guide, for small or big group, guest wedding activities or pre/post fair activity. 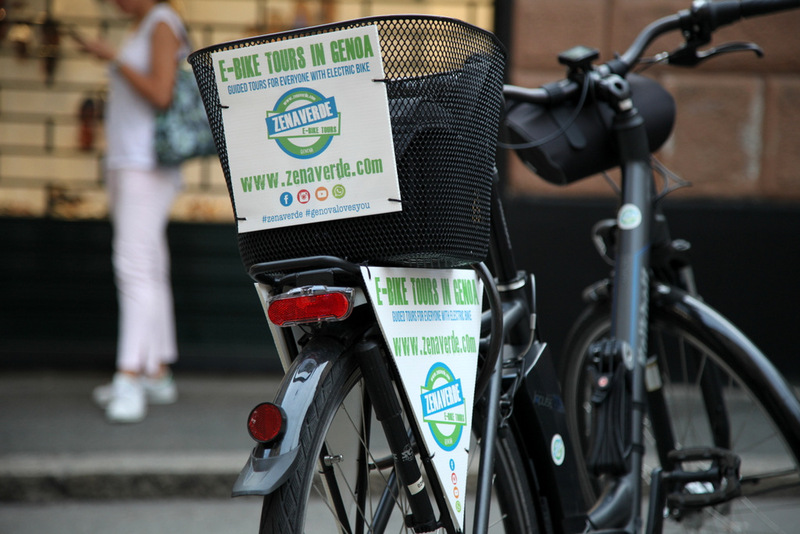 Every tour include guide speaking different languages, E-bike made in Germany, helmet, u-lock, bag, safety bib, kids equipment and pit stop for tasting coffee and Genoese focaccia.